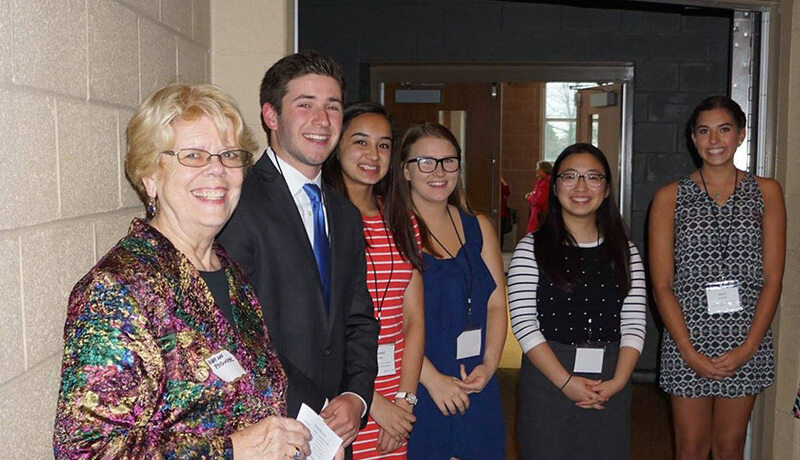 The Rochester Community Schools Foundation and the Community Foundation of Greater Rochester, in partnership with the Kiwanis Club of Rochester and the Rochester Rotary Club, provide area students with a vast array of scholarships to promote continuing education. Last year, nearly $100,000 scholarships were awarded. The 2019-2020 scholarship application will be available in November 2019. Click here to read more about RCSF legacy donors that are making an difference or view pictures of last year recipients! The RSPA Scholarship was established in 2003 in partnership with the Rochester Community Schools Foundation. The scholarship is available to all RCS students who demonstrate a need for assistance and a desire to participate in school and/or community educational activities. These activities include but are not limited to tutoring services, field trip payments, intramural registration/fees and after-school care. Any RCS employee or parent may nominate a student for the award. The RSPA Committee will review and determine the number of recipients to award based on availability of funds every year. An application can be downloaded by clicking on the form to the right or be available in all school buildings. Applications must be submitted by mid-May to be considered for the following school year. Reimbursement for past activities is not eligible. Payment will be made directly to the organization/individual providing the service. The Microsoft Office® Specialist (MOS©) Certification for RCS Clerical Personnel Award fund will provide the financial resources to support any active and permanent clerical employee of Rochester Community Schools attaining the Microsoft Office® Specialist Certification, per the criteria and requirements defined in Rochester Support Personnel Association Enhanced Credential Stipend details documented in the guidelines attached as Appendix A. A $250.00 (Two hundred fifty dollars and no cents), award will be funded to a current RCS clerical employee attaining the Microsoft Office® Specialist certification and who provides evidence of taking and passing the three qualifying Microsoft Office® Software application tests and the issuance of attaining the Microsoft Office Specialist Certification. The secretary should also provide a copy of the Notice of Adjustment issued by the RCS Human Resources Manager confirming this employee has met the criteria as defined in Appendix A. Requests should be submitted to the Rochester Community Schools Foundation Director and will be reviewed, recommended and approved by the founder, the MOS© Certification for RCS Clerical Personnel Award fund committee, or the Foundation Director.